Recently, I’ve been quite jammy (not in the strawberry sense) more in the flukely sort of way and winning things left right and centre. It all started winning VIP tickets to Meatopia tickets on twitter around September time. Unfortunately, I was in Paris at the time (as you do) so wasn’t able to go, but my brother and his fiancée had an epic meaty day making full use of all the delicious food on offer. Then suddenly I had a very exciting email in my inbox. 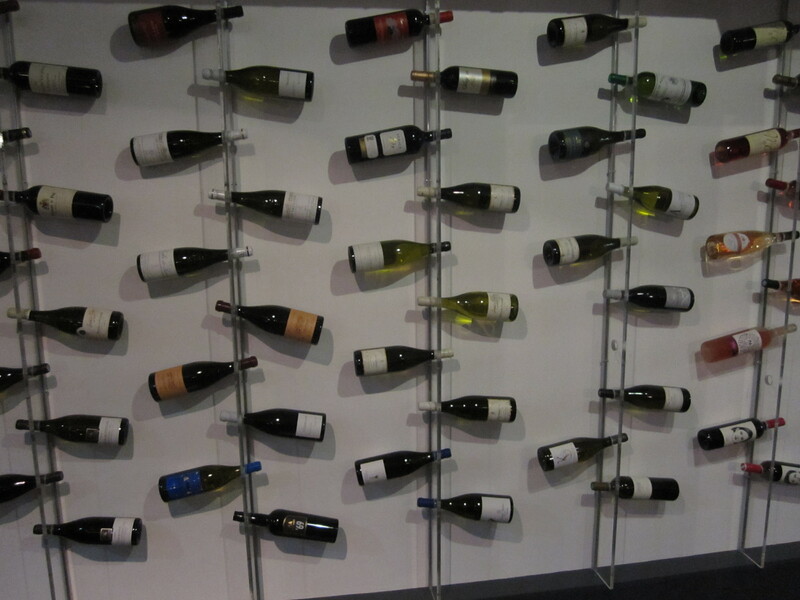 In that I indeed had won wine tasting for six people at the very glamorous Perfect Cellar at The Clerkenwell Collection in London. Being super excited, I grabbed my five other fellow tasters who would join me on this grape adventure and got ready to enjoy some pretty special wines. Milda was our guide through the wines, being super knowledgeable and welcoming, the tasting was really relaxed and no question was too weird or hard for her to answer. 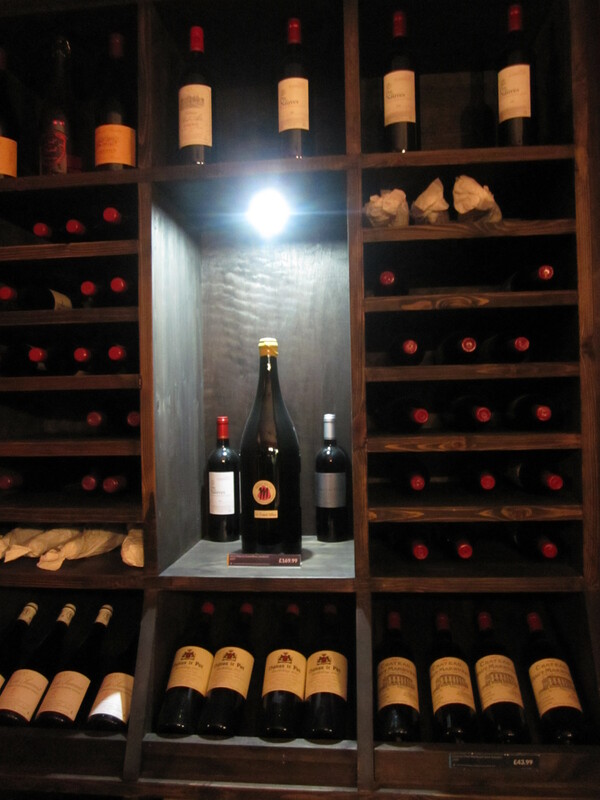 The Perfect Cellar works with artisan winemakers to select wines that might not be available to the open market or only available at Michelin starred restaurants, allowing these wines to be purchased and enjoyed by everyone. Like all good parties we started with a glass of Champagne Benedict Jonchere Brut NV served with a plate of strawberries. 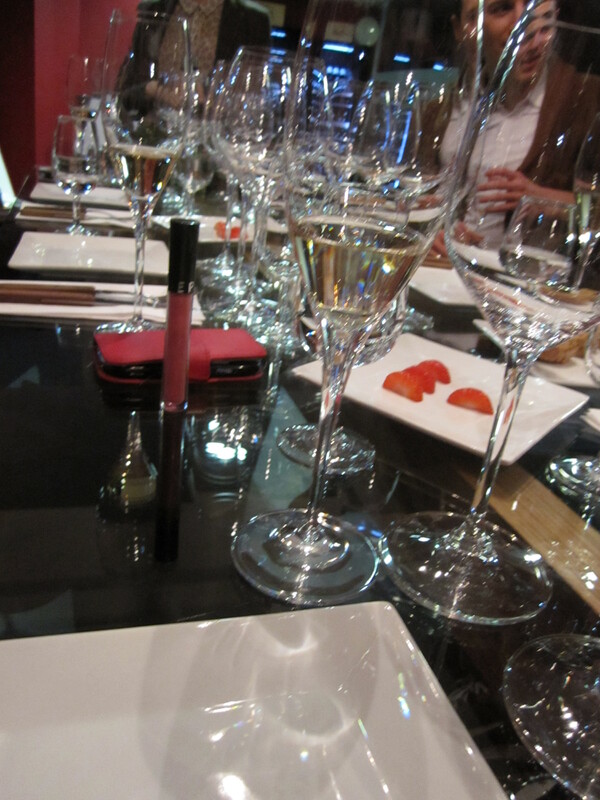 The light bubbles were more similar to a prosecco and less oaky flavour than some champagnes from a Chardonnay grape . Paired with the strawberries, it was a lethal combination far to drinkable. A bottle or two may be needed to bring in 2014. We next moved on to a glass of Henri Bourgeois Pouilly-Fumé ‘Les Jeunes Vignes’ 2011 served along side the rich oily mackerel pate. This Sauvignon Blanc was lovely and crisp, cutting through the oily fish leaving the palate fresh and clean. Once again very drinkable. We then moved on to the red wines with a glass of the Domaine Parigot Savigny-les-Beaune “Les Vergelesses” 1er Cru 2008 with some delicious cured meats. The soft red again paired with the meat works beautifully. In fact this wine was one of my favourites of the day. Our last red wine was from the charming Chateau Les Ormes, Saint-Julien 2008 was paired with duck pate, was richer and more tannins than the previous red with a lot more red fruit flavour, which is exactly what you want with the rich duck. A fabulous red wine that I would love to pair with a thick juicy steak sometime. 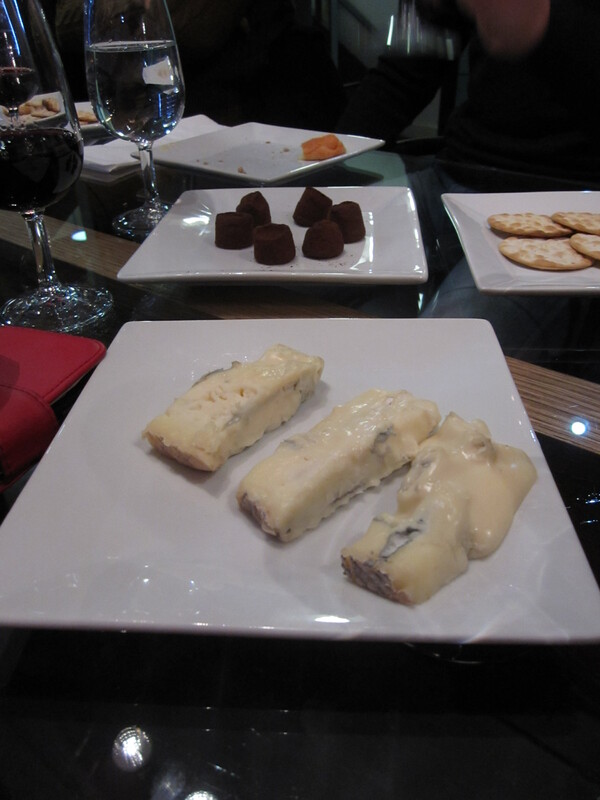 We finished the tasting with my favourite wine – Mas Amiel Maury Vintage 2011, a sweet wine from the South of France which worked excellent with blue cheese and rich dark chocolate truffles. I had never had a dessert wine that wasn’t too overly sweet and syrupy, this was just a delicious slightly rich red wine that tasted of dried fruits and cherries. I think this would be great after Christmas dinner with the rich pudding or cheese board. I may of bought a bottle for myself to savour over the year, we also got some bottle as Christmas gifts which we’re greatly appreciated. 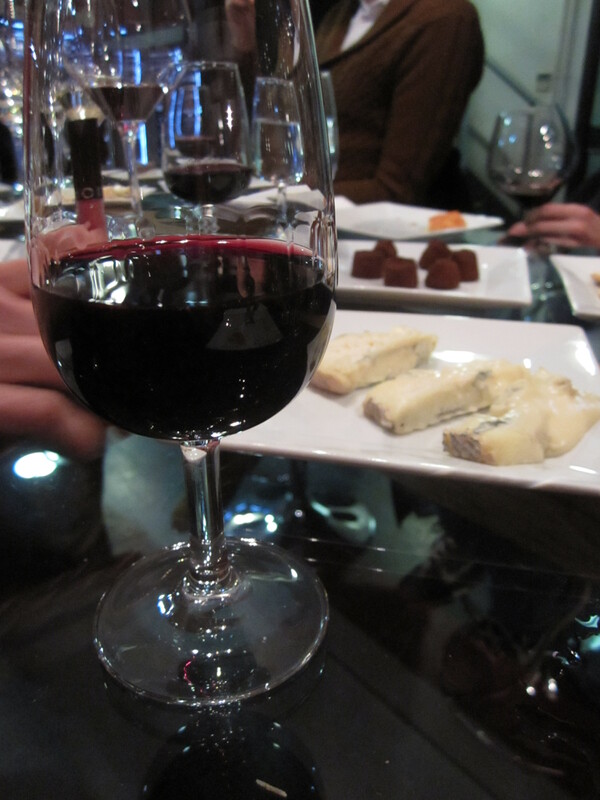 I can’t wait to sample this wine again very soon. 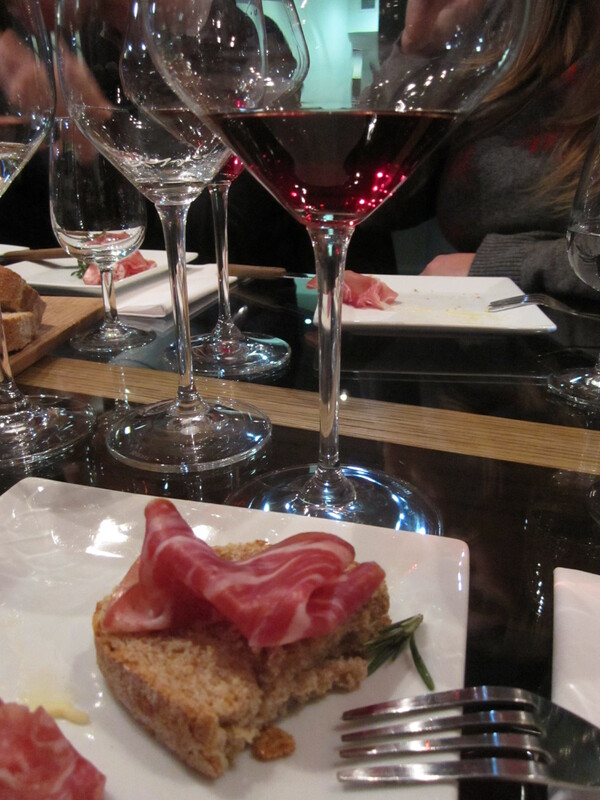 Milda gave a great tip of when trying to match a wine to the food you are going to eat it with, it is best to think about the food that is cooked in the region the wine was produced as it is most likely that the wine producers. Such as a producer of a heavy red wine is most likely to be eaten dark meats and stews and light wine wines produced on the coast with more seafood. Great tip or what! 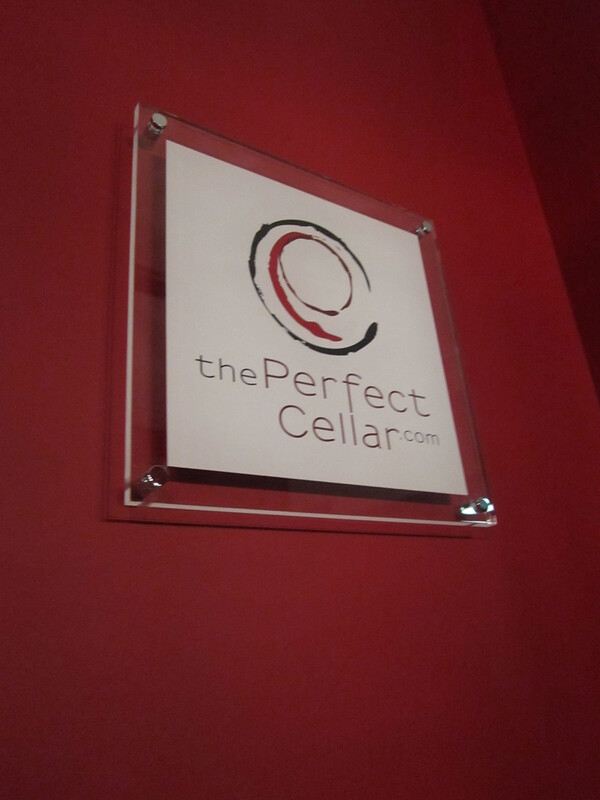 We had a fabulous afternoon with The Perfect Cellar and will be checking out their wines online as for even a wine beginner like myself they have really easy to understand tips, such as how long you should keep the wine – whether you need to keep it for a couple of years or to enjoy it now. The staff was wonderful and would highly recommend the wine tasting session with a group of friends as was a truly enjoyable experience. Book your place here.